Andres Pagella is an accomplished software developer with more than 10 years of professional experience living in Capital Federal, Argentina. He has worked on the design and the implementation of several high traffic websites in Argentina. 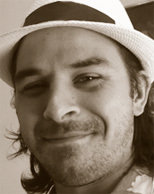 He currently works as the Chief Technical Officer of Minor Studios Argentina S.R.L. developing a social game design tool called Atmosphir. "I really like the trajectory taken in this book, from canvas basics to working game mechanics complete with PHP/MySQL back end, as opposed to one trivial example after another."